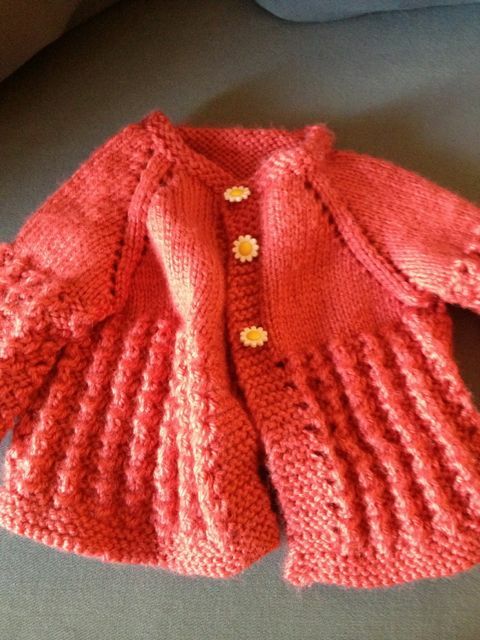 Today on Baby AB’s Fashion Blog, we feature an absolutely fabulous sweater, handmade by a lovely expert-knitter friend (who also happens to be Skye’s mom). This ensemble comes from November. 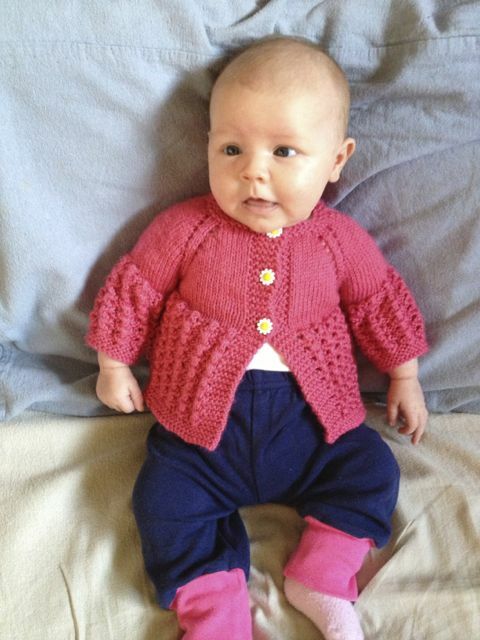 I dressed Baby AB for her six-week photopost and propped her up so it would look sorta like she was sitting. She was just barely starting to be smiley. Six weeks old in Paris Daisy. I call it “Paris Daisy”, not just because of the Paris-pink colour and adorable daisy buttons, but also because she looks très chic, n’est-ce pas? Additionally, it’s possible that the gorgeous texture is some version of the waffle stitch, which as you know takes me back to my European days. Tralala. Just so you know, the pants she’s wearing were also a gift from a good friend; they have a red heart on the bum. Sweet. Now here’s a li’l bonus video from just yesterday: Baby AB learned to clap her hands! Together! (Big brother helped.) She is STOKED about it. Looks like a lefty so far! Yay clapping!!! I was at Will’s T-ball practice the other night and there was a baby there (a sibling of one of the teammmates) who had just learned to clap too, and i spent a good bit of my time flirting with her. It’s amazing, the clapping.